When taking over a program, it can be hard to establish a juggernaut. That’s especially true when said program isn’t a major sport that one sees every day on ESPN or additional television media stations. 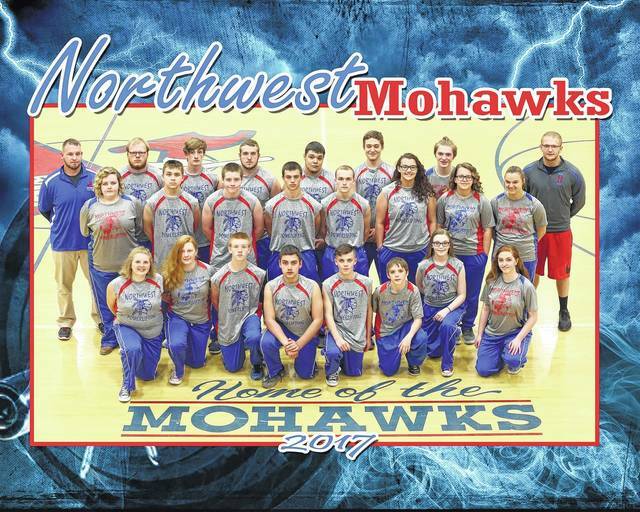 However, in his five seasons as the head coach of the Northwest Mohawks’ powerlifting program, Mark Smith was able to raise the bar significantly in a sport that doesn’t necessarily receive a great deal of press. That was proven at the NASA Nationals Powerlifting Meet back in April, when Smith’s group collected a pair of top-five finishes in both of the boys and girls divisions within the divisional realm in a Springfield, Ohio-based meet on April 1. For Smith, closing out his tenure by leading Northwest to top-five finishes among fellow strongholds from around the country was an excellent honor. From the time that he made his foray into the Mohawks’ powerlifting program five years ago, Smith’s goals always remained consistent and steadfast. To get the program to where Smith felt that it needed to be, the now-veteran head coach knew that he had to make some changes. Once the booster program started to formulate, Smith said that the entire program started to come together piece by piece. Those expectations certainly have panned out well for Northwest, especially over the last two seasons. Back-to-back top-five finishes for the boys and girls squads at the NASA Ohio Powerlifting Meet — including two second-place finishes in 2016 — and over 40 qualifiers have put Northwest on the map as one of the state’s more well-respected powerlifting squads. The results, however, haven’t just been evident from a team standpoint. In 2016, Trevan Bazler set a new bar for the Northwest powerlifting program by putting together a 615-pound lift in the squat, while Noah Mills collected a combined total lift of 660 pounds in the bench, squat, and dead lift. This year, Mills collected a total that exceeded 683 pounds in all three lifts, while Jared Breech, Tony Leslie (who broke the 920-pound mark), Jacob Pickel, and Bruce South all exceeded 550 pounds on their respective lifts. To top it all off, Sara Smith, Lily Rockwell, Alex Smith, Zoe Pierce, and Micha Colley all collected marks that exceeded 303 pounds, with Smith’s 578 leading the way. Of those 10 individuals, not a single one graduates, and only one will be of senior eligibility. The overall numbers for the unit are also up, as a total of 24 student-athletes participated in the Northwest powerlifting program in 2017. Of those, an even dozen of those 24 are of eighth-grade eligibility or younger. In all, only two seniors (Tyler Fults and Rachael Pennington) depart a program that has seen massive numbers from Mills (335-pound dead lift, 210-pound squat, 150-pound bench press as a 126-pound eighth-grader), Rockwell (250-pound dead lift as a 171-pound eighth-grader), Briana Kelly-Chandler (210-pound dead lift as a 158-pound eighth-grader), and Austin Hall (265-pound bench press and 405-pound dead lift at 222 pounds), which means that Smith is leaving the program in good shape.